Develops and uses chemical tools and approaches to dissect dynamic biological mechanisms. Some biological processes, such as development, take months or years to play out while others require only minutes or even seconds. Kapoor’s lab devises ways to use chemistry to study rapid cellular processes, focusing on those that drive cell division or involve members of the AAA+ family of proteins. His lab also seeks to develop some of these fast-acting compounds into new therapies for disease. To study a biological process, scientists often need to disrupt the function of key proteins involved in it. The most effective tools to do so block protein function over the same time scale as the process itself. Examining rapid cellular activities—such as the preparations for division or assembly of ribosomal precursors—requires equally fast-acting interventions. The Kapoor lab develops chemistry-based tools and approaches to study these dynamic processes over brief time scales, and much of their effort focuses on small-molecule inhibitors. These compounds can often have potential clinical applications, and when possible, the lab uses them to develop new therapies. Using two approaches, the lab has identified a number of first-in-class inhibitors, including ribozinoindoles (Rbins), which arrest ribosomal assembly in yeast. One strategy, which mimics forward genetics, employs a cell-based screen to identify a chemical that perturbs a given process. Researchers then determine the mechanism by which the compound achieves its effect. In a second approach, the group develops compounds for a selected protein target. When possible they use rational design, identifying and modifying a chemical scaffold that can interact with a target protein, much like shaping a key to fit a lock. The means by which many bioactive compounds achieve an effect in cells can be difficult to decipher. To identify a compound’s physiological target in human cells, the Kapoor lab has developed an approach known as DrugTargetSeqR. High-throughput sequencing is used to identify the mutations that confer resistance specifically to the compound of interest. So-called gold standard proof of target is obtained when the same mutation that protects cells from the compound also suppresses protein binding or activity inhibition in a biochemical assay. A major focus of the lab has been to study cell division using multidisciplinary approaches. Recently, the lab has shown how two proteins, PRC1 and kinesin-4, mark the plus ends of microtubules with tags proportional to the length of the microtubules. These tags may help the cell select and organize microtubules to position the cell division plane and keep chromosomes segregated during the final stages of division. The lab discovered the first cell-permeable and selective inhibitors for the motor protein dynein, a member of the highly conserved family of AAA+ proteins. They continue to identify other AAA+ inhibitors and use them to study the functions of their targets, an effort that includes using Rbins to examine Mdn1’s role in ribosomal assembly. Working with the Tri-Institutional Therapeutics Discovery Institute, Kapoor’s group has begun developing an antifungal drug based on Rbins. In addition to inhibitors, the Kapoor lab develops and applies other chemistry-based approaches to dissect biological mechanisms. For instance, they have developed a chemical proteomics approach and used it to identify reader proteins that initiate a response to a double-strand break in DNA. This study combined the use of mass spectrometry, high-resolution microscopy, and biochemistry techniques. Kapoor is a faculty member in the David Rockefeller Graduate Program, the Tri-Institutional M.D.-Ph.D. Program, and the Tri-Institutional Ph.D. Program in Chemical Biology. Steinman, J.B. et al. Chemical structure-guided design of dynapyrazoles, cell-permeable dynein inhibitors with a unique mode of action. Elife 6, e25174 (2017). Kawashima, S.A. et al. Potent, reversible, and specific chemical inhibitors of eukaryotic ribosome biogenesis. Cell 167, 512–524 (2016). Kleiner, R.E. et al. Chemical proteomics reveals a γH2AX-53BP1 interaction in the DNA damage response. Nat. Chem. Biol. 11, 807–814 (2015). Kasap, C. et al. DrugTargetSeqR: a genomics- and CRISPR-Cas9-based method to analyze drug targets. Nat. Chem. Biol. 10, 626–628 (2014). Subramanian, R. et al. Marking and measuring single microtubules by PRC1 and kinesin-4. Cell 154, 377–390 (2013). 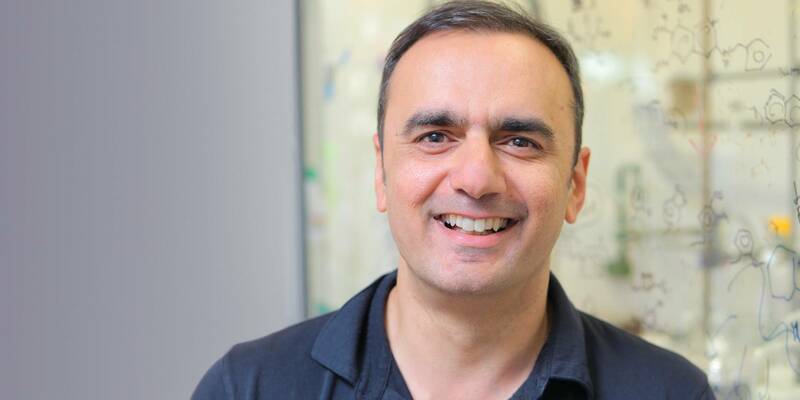 A chemical inhibitor targeting basal cell carcinoma, originating from Tarun Kapoor’s lab, is graduating from the Tri-Institutional Therapeutics Discovery Institute into Bridge Medicines. As inaugural Sanders Director Dr. Michael Foley is set to depart the Tri-Institutional Therapeutics Discovery Institute later this year, two projects from a portfolio of 57 that the Tri-I TDI has supported are now ready for the next phase of therapeutic development—a phase intended to lead to investigational new drugs.